The Authentic Foods Xanthan Gum can be used as a substitute for gluten (the protein that gives wheat flour its structure). Use it along with non-gluten containing flours to make gluten-free baked goods that have good structure and texture. 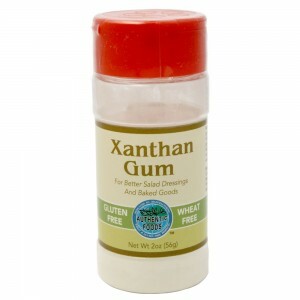 Add a pinch of Xanthan gum to your homemade salad dressings for improve suspension of vinegar and oil. It is produced by microorganism and is a natural carbohydrate. Spices, Extracts, & Baking Misc.